English: Black-headed pardalote; stripe-crowned pardalote; red-tipped pardalote; yellow-tipped pardalote; French: Pardalote à point jaune; German: Streifenpanthervogel; Spanish: Pardalote Estriado. 3.5-4.5 in (9-11.5 cm); 0.42 oz (12 g). Sexes similar in plumage, immatures with muted head color. Australia except for desert sections of interior. P. s. uropygialis: northern Australia; P. s. melvillensis: Melville and Bathurst Islands; P. s. melanocephalus: coastal belt of Queensland; P. s. or-natus: coastal New South Wales; P. s. striatus: Tasmania; P. s. substriatus: Australia from New South Wales to Western Australia. Widely distributed through eucalypt woodlands and forest, but also in rainforest and mangroves. Form flocks during winter. The races striatus, substriatus, and ornatus are nomadic or migratory; other races tend to be sedentary. Loud and repetitive two- to three-note call. Gleans foliage and twigs, primarily in eucalypts and acacias, for a broad spectrum of invertebrates. 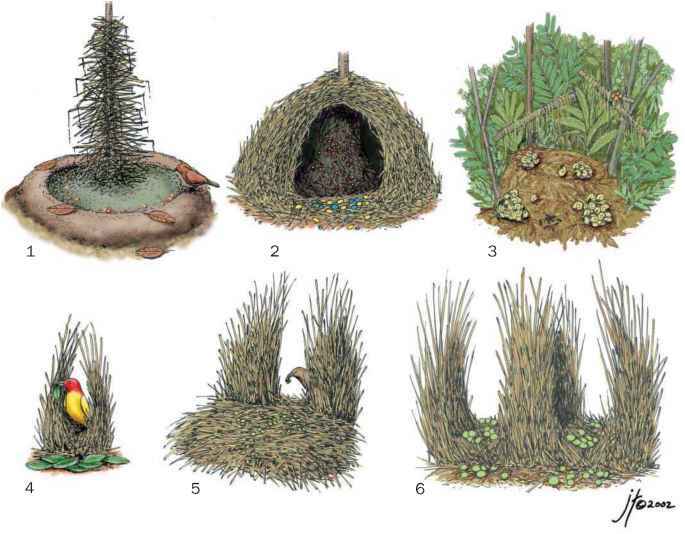 Nest is cup-shaped, partly or completely domed, of plant fibers, at the end of an earthen burrow or in a tree hollow. Both parents contribute to burrow excavation and nest construction. Typical clutch is three to five white eggs, incubated by both parents. Not threatened; found in a broad spectrum of environments and across a wide geographic range.